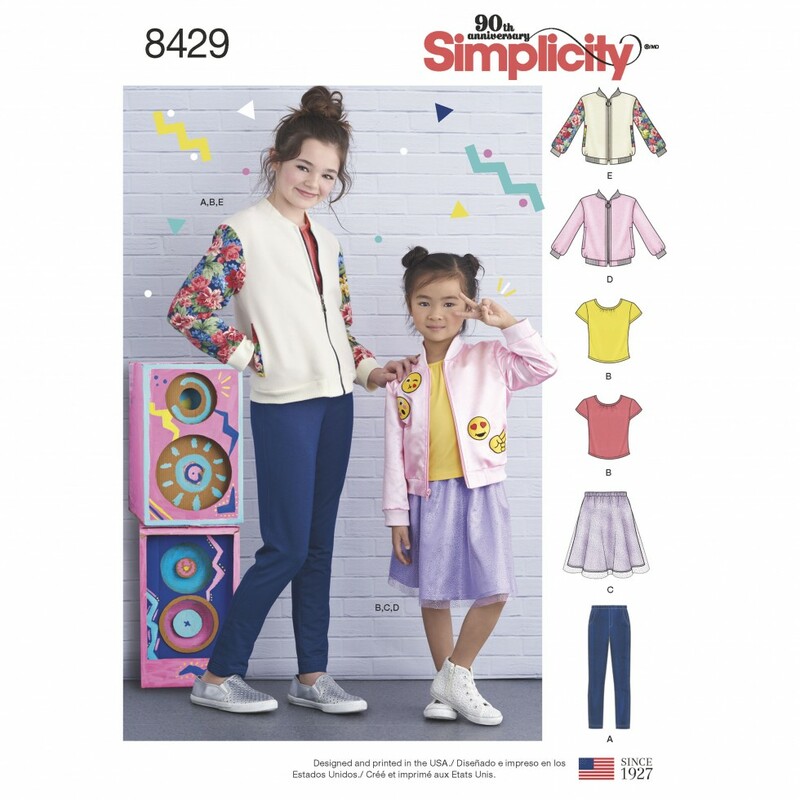 The Bomber jacket for children size 3 to 6 or girls size 7 to 14 with separates to create an outfit for any occasion. Personalize your bomber jacket with patches and fabric combinations that make it fun to make and wear. Pattern includes, pull on skirt, T shirt and knit jeggings. Simplicity sewing pattern.